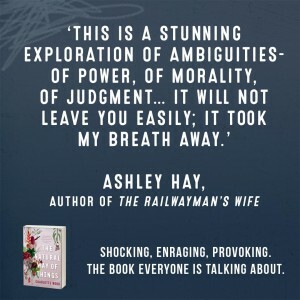 We’ve already shared our staff love for Charlotte Wood’s remarkable new novel The Natural Way of Things, and having been released into the wild last week (a very accurate description) now it’s time to share some of the great responses from fellow authors, critics, interviewers and early readers. As you’ll see, similar themes emerge compared to the thoughts of our staff: anger, its unforgeable nature, the beauty in the language, and it’s tackling of important topics. 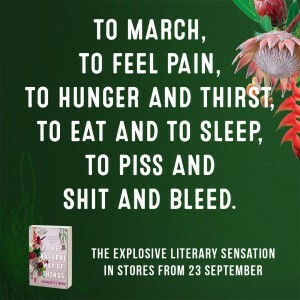 Charlotte Wood’s book is a howl of despair and fury; but it is also that most rare and powerful of creations, a dystopian novel that is perfectly judged, the writing controlled, the narrative engrossing and the language both searing and sensual. You can’t shake off this book, it gets under your skin, fills your lungs, breaks your heart. As allegory, as a novel, as vision and as art it is stunning. The qualities I most admire in a novelist are courage and artistry: the courage to venture alone into dark and difficult places, and the artistry to bring back something of genuine worth. 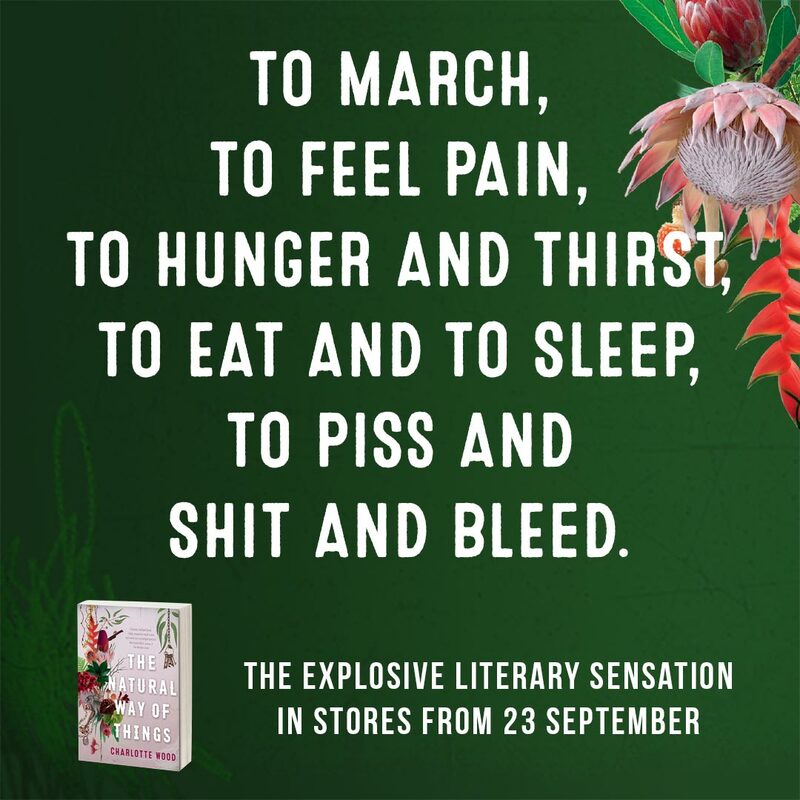 Like the young heroines of this novel, Charlotte Wood has become a hunter-gatherer, going into risky, frightening and sometimes horrific terrain, turning a little bit feral, to return with a work of art that is full of power and anger and raw earthy treasure. 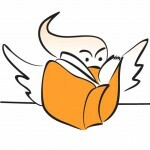 As a man, to read it is as unsettling as receiving one piece of bad news after another. It is confronting. Yet anyone who reads it, man or woman, is going to be left with a sense that a long-hidden truth has been revealed to them. 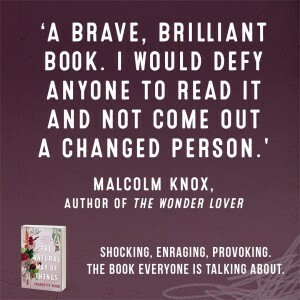 The Natural Way of Things is a brave, brilliant book. I would defy anyone to read it and not come out a changed person. 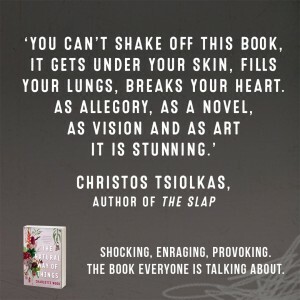 There are so many layers at play in Charlotte Wood’s extraordinary new novel, The Natural Way of Things, and around its taut and razor-sharp nightmare is the implicit awfulness of everything not quite said, not quite presented, not quite explained. This is a stunning exploration of ambiguities – of power, of morality, of judgement. With a fearless clarity, Wood’s elegantly spare and brutal prose dissects humanity, hatreds, our ambivalent capacities for friendship and betrayal, and the powerful appearance – always – of moments of grace and great beauty. The book’s ending undid me through the shape of the world it reveals as much as its revisions of escape and survival. It will not leave you easily; it took my breath away. 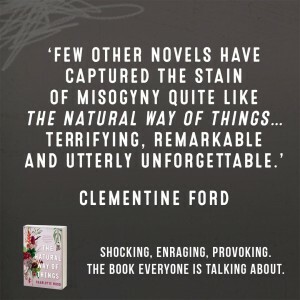 Few other novels have captured the stain of misogyny quite like Charlotte Wood’s The Natural Way of Things. Wood’s is a tale of survival in a world where captivity takes many forms; where power is a negotiation not just between prisoner and persecutor but of how far some women are willing to go in order to be free. Terrifying, remarkable and utterly unforgettable. It’s rare to pick up a novel and from the opening pages be not only gripped by the story on the page but also by the keenness of the intelligence and audacity of the imagination at work. More than that, this is a work of fiction unlike most, one that will have people reaching for comparisons in an attempt to identify it. 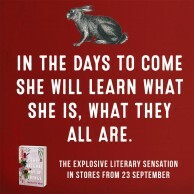 This is one hell of a novel by one of our most original and provocative writers. I read The Natural Way of Things in one sitting several weeks ago and it kicked up a lot of dust that is only now settling. It has been compared to The Handmaid’s Tale, rightly so, and returning to that novel after twenty years has gone some way in helping me to understand what I loved about Charlotte Wood’s contemporary, Australian version. I was gripped by the full-bodied, precise prose. Wood deftly shows us how we are savage, revolting, tender, desperate, and especially how we survive. The ending of the novel is its own triumph. Book of the Month. Actually, make that Book of the Year. No book has stopped me in my tracks the way this one has, forcing me to ask myself uncomfortable questions about Australian attitudes to women. No book has haunted me like this one, its grim premise provoking urgent, important questions. And while that may be uncomfortable, it also makes for a bracing, invigorating read. Here is a book that throws down the gauntlet and asks: is this who we really are? And if it is, then what are we going to do about it? 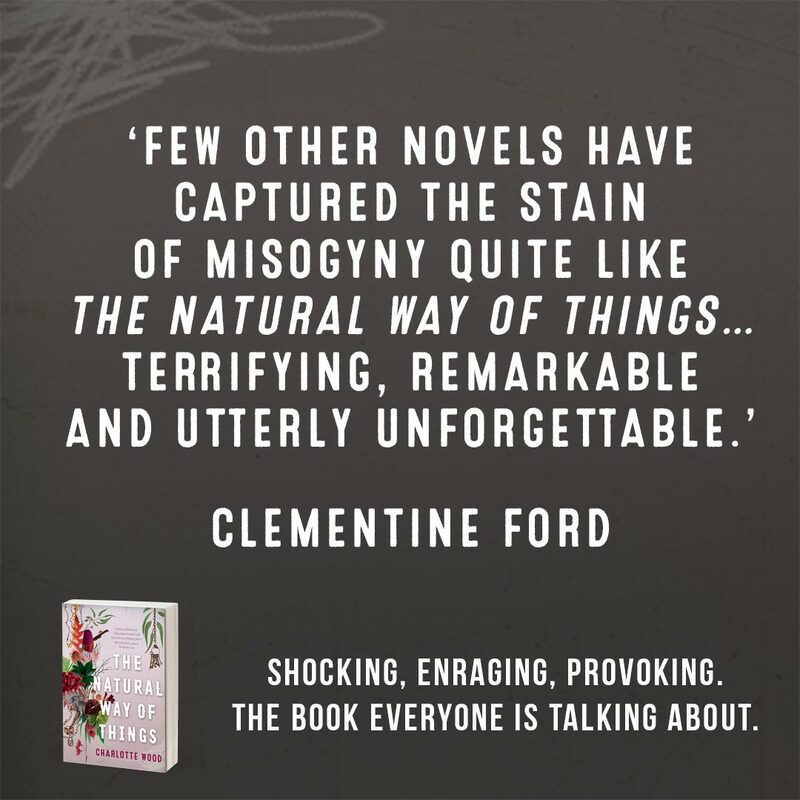 Charlotte Wood’s The Natural Way of Things is a powerful story of misogyny and corporate control taken to disturbing extremes. 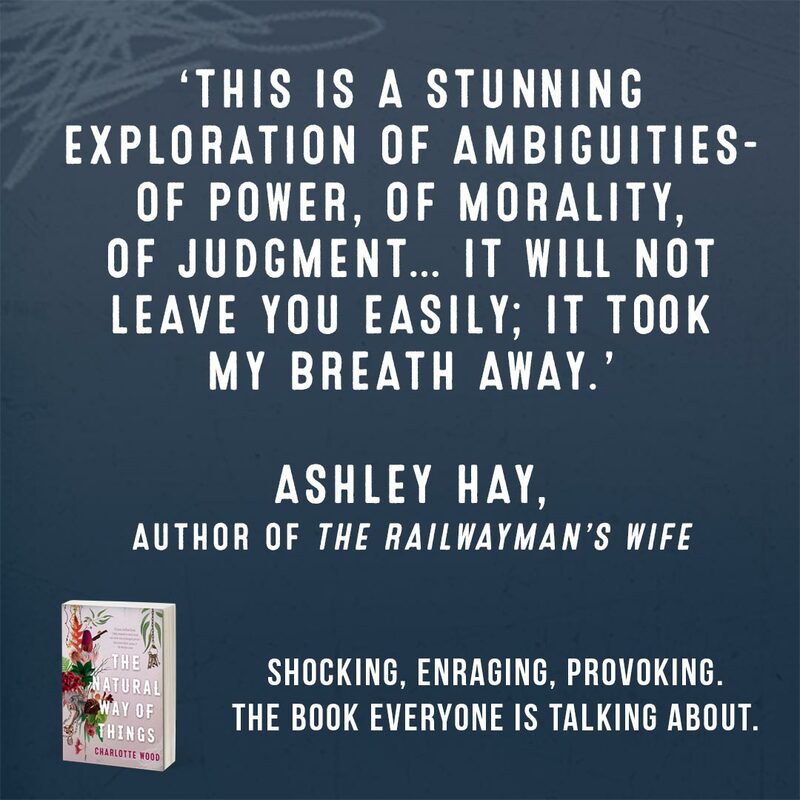 The Sydney writer’s searing exploration of the most frightening elements of contemporary gender relations is a confronting and blazing read. 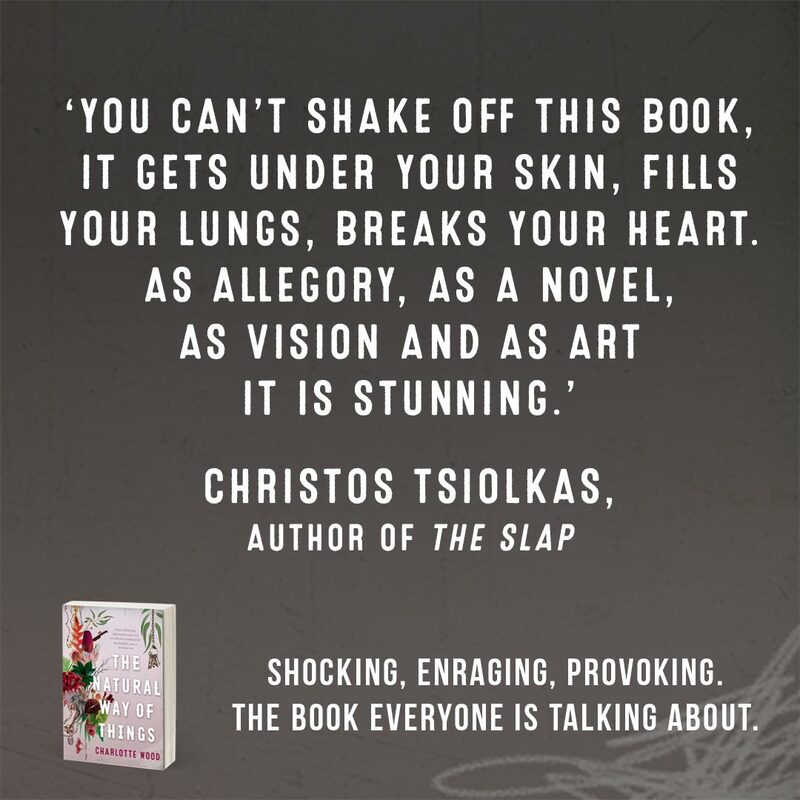 The Natural Way of Things is a novel to provoke thought, conversation, disgust, anger and concern, a work that will haunt the reader with its poetry and the stark truths buried within Wood’s brilliant exploration of a toxic culture in extremis. 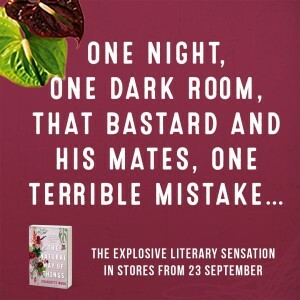 Nothing could have prepared me for the shock of her new work, The Natural Way of Things, which is not so much a novel as a nail bomb. 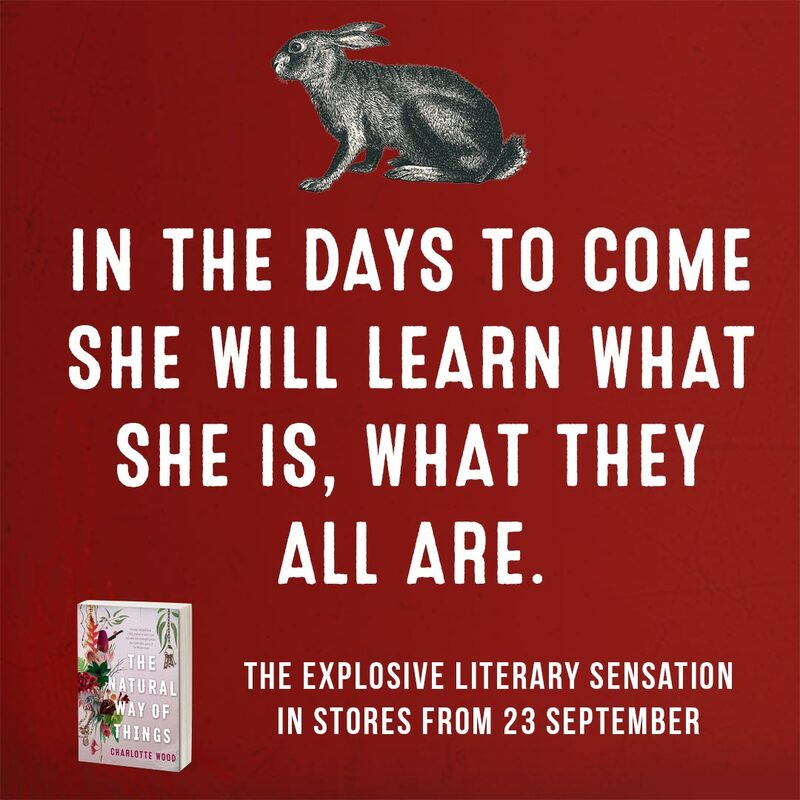 Different in style from all her previous work, with this book Charlotte confirms her shapeshifting ability, shucking off the safety of realism for a far edgier, modern-day fable of rural gothic dystopia. Think Margaret Atwood, Angela Carter and chuck in a dose of Mad Max’s avenging angel Furiosa and you get the idea. Charlotte Wood’s fifth book is a unique and hypnotising work. Chilling at times in its viciousness, this is an unforgettable story. Wood is a gifted and inventive writer whose characters shock and surprise. Five stars. 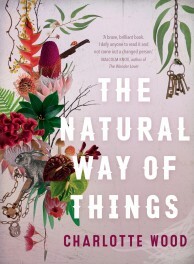 Just finished @charlottewoodau's THE NATURAL WAY OF THINGS. Now, there's a viscerally grim and haunting book! So close to the end of #thenaturalwayofthings and I'm kind of scared to finish it. Such a strong, raw, bloody book. Wow. The Natural Way of Things by Charlotte Wood is an incredible read. Coming October. Form an orderly queue. I haven’t stopped thinking about it since I finished, and I would have to say it is definitely one of my favourites for the year. 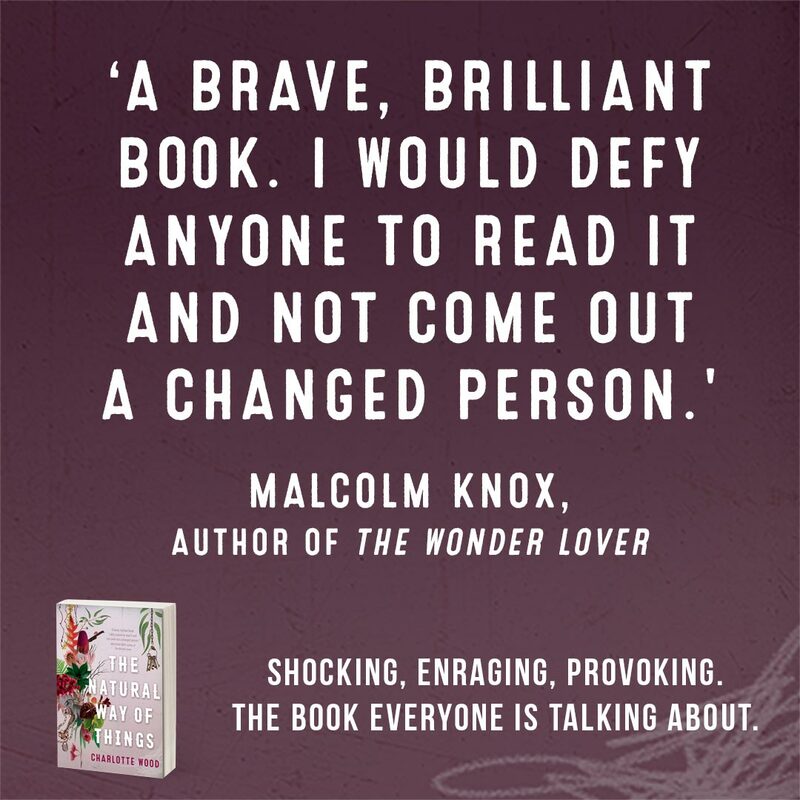 Intense, imaginative and utterly extraordinary The Natural Way of Things is profound and unputdownable. Read more interviews with Charlotte on the Sydney Morning Herald website or Anne Summers Reports website. 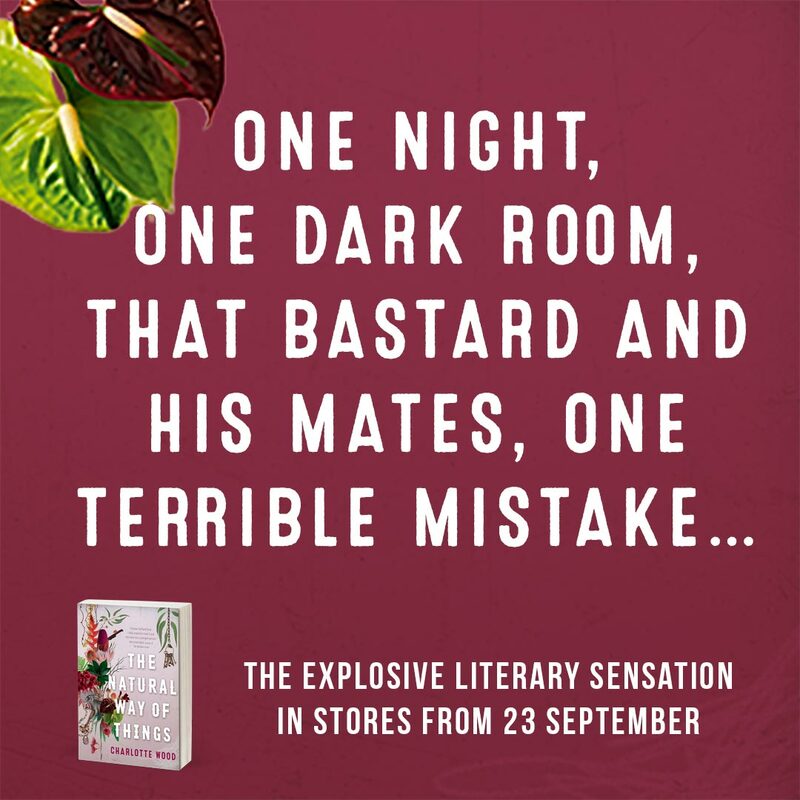 You can read an extract to find out what the fuss is about, and find out more about the book here.